Topol RS-12M ICBM can penetrate any sophisticated SAM and hit most everywhere on the planet. Russia tested a new, advanced intercontinental ballistic missile (ICBM) capable of delivering a nuclear weapon to any city in U.S mainland. The Russian Defense Ministry through its state-run Tass Russian News Agency said its missile forces successfully launched a Topol RS-12M, codenamed SS-27 "Sickle B" by NATO, from the Kapustin Yar range in the southern Astrakhan region. The missile reportedly flew about 1,200 miles before striking a target at the Sary Shagan range in Kazakhstan. The ministry said the collected data from the test would help develop a new anti-missile defense penetration technology." Russians have always stretching for top notch weaponry, because they believed in a military doctrine of producing cost-effective weaponry, but more deadly. The Kremlin's budget for defense is about 16% in a deficiency to U.S defense's budget which is leaping at $824.6 billion annual and very enormous compare to Moscow. Since the Russians no need a huge budget for mass production of Warship carriers, but only convene small amount for the most powerful weaponry like a strategic ballistic missile "Topol RS-12M" that put everything at whim of annihilation including expensive Warship carriers. 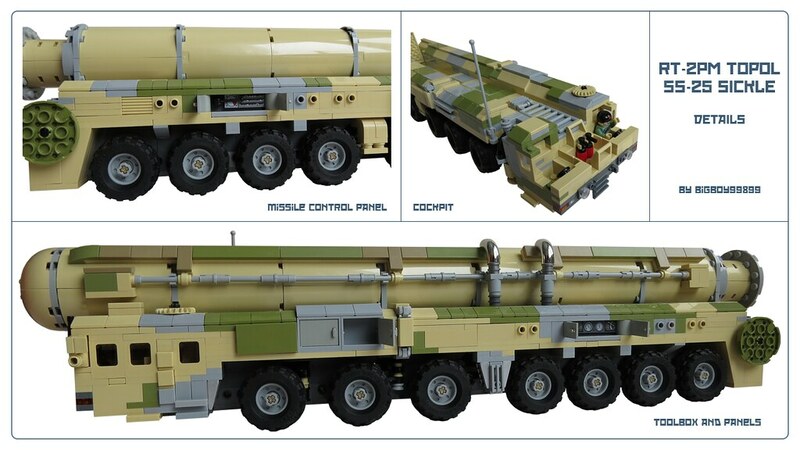 This powerful TOPOL has two modes of lauching systems, one is a silo-based and other a mobile intercontinental ballistic missile. TOPOL is one of the frightening creation the mankind have made,so far. It can hide in cities, forests, or even placed inside a hardened bunkers. TOPOL was the first ICBM created by Russian company called Воткинский завод upgraded from Cold War's ballistic missile system after the fall of the Soviet Union. TOPOL itself in Russian language is referred to the "White poplar tree", which is very similar to the Aspen tree in North America. The weaponry first fielded in 1997 as an upgrade of the first TOPOL's generation. This scary warring system was originally designed in the 1980s, and then redesigned again in the mid-1990s, with America's push for a ballistic missile defense shield in mind 1990s. Since its introduction, there have been about 80 TOPOLs put into service, with close to a third of those being road-mobile versions and the rest being placed in highly fortified concrete silos. 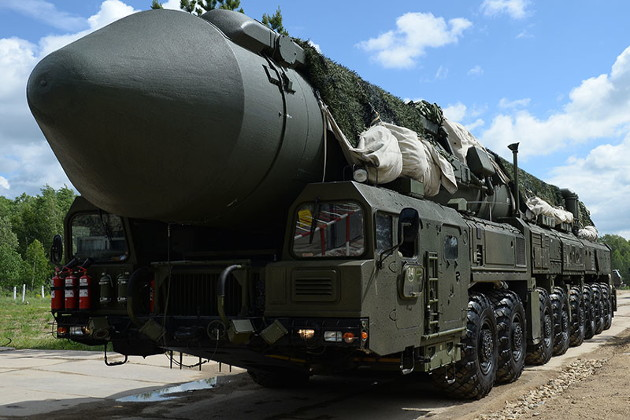 Another 170 older generation which are road-mobile TOPOL missiles remain in service to bolster a modern era of TOPOL mobile fleets, to supplement its cousin Satan RS-36M, the 1970s-era weapon referred by Nato as the Satan missile that being decommissioned from official services. Topol RS-12M Intercontinental Ballistic Missile test Kapustin Yar range in the southern Astrakhan region. The TOPOL missile designed to penetrate and overwhelming an American anti-ballistic missile shield such as Aegis system, Patriot and THAAD by leveraging unprecedented high-speed, render a relatively small infrared signature during its boost phase, deploy advanced decoys (as many as ten of them carried on a single missile), perpetrate some illusive maneuvering mid-course capability, and detach reentry vehicles independently,of which each can carry up to six nuclear warheads. The missile's high-speed has shorten the time-response for anyone to react to it. Since every second of it matter when it comes to this angry and scary ballistic missile, that can able to overwhelming even the most sophisticated radar arrays in impenetrable air defence systems (AAs). Its rocket motors were designed for a short, very powerful boost stage so that American space-based infrared detection incorporated in most American-NATO's satellites (SBIRS, DSP) have less time to detect and track it. Its decoys make it even double harder for advanced radars, that adequately tracking and marking the correct target. As countermeasure TOPOL can able to fool infrared tracking systems, which are use for mid-course interception. Its reentry vehicles' dynamically possess additional maneuverable abilities outside of their mother track missile to maximize an effective killing solution, or even predicting the main target. All these features come together to make a missile that is probably outside of America's missile defense capabilities today, and the sheer number of them that exists throughout Europe. The missile itself is approximately to seventy feet long, made mainly out of carbon fiber and weighs just over 100,000lbs at launch. It can reach out to about 6,500 miles. Its three stages are solid fueled, so it can be ready to launch at a moments notice, and can remain ready to fire for long periods of time. The TOPOL is so powerful that it can also be used to put up to medium-sized satellites into low-earth orbit as its payload for ICBM operations can be as heavy as 2650lbs, although it usually carriers a single 800 kiloton thermonuclear warhead. It is guided by an on-board inertial navigation system that is coupled with a GLONASS (Russian GPS) interface, giving the giant rocket a circular error probability (CEP) of around 600 feet, which is more than accurate enough for an ICBM. 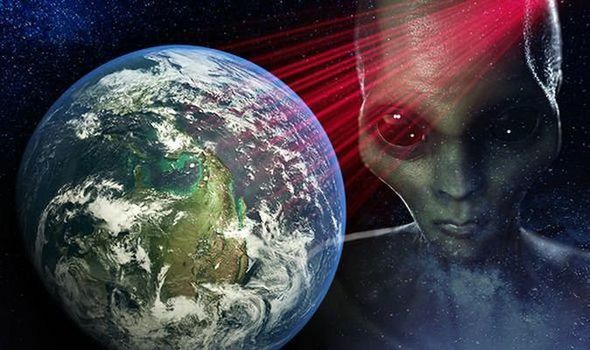 Not only is the road-mobile TOPOL-M hard to hit once it is in the air, or at the edge of space for that matter, it is also very hard to find on the ground as they can hide pretty much anywhere in many mobile decoys. Its transporter-erector-launcher (TEL) is built in Belarus by heavy military vehicle makers MZKT, features sixteen wheels, and the front and rear pair of axles have independent steering, which is absolutely necessary for navigating the massive TEL on roads that were never built for something its size. The MZKT-79221 is actually fairly capable off-road, and during a time of deployed operations that is where these vehicles end up, basically where you would not expect them to be, the TOPOL mobile version can forging streams, forests,rumbling down muddy alpine tails and traversing dense snow are all within the TOPOL- TEL's operabilities. The missile and the TEL are also accompanied by a command and support vehicle, and in some cases a similar long-range communications vehicle for over the horizon connectivity.Whereas America has its nuclear 'trident' consisting of silo-based, submarine-based and air-launched nuclear weapons, Russia has a four pronged approach with its road-mobile ICBMs that operate in a similar fashion to SSBN submarines. By dispersing a portion of its land-based nuclear arsenal throughout its great wilderness. So, it very hard for the US to hit all of its nuclear emplacements during a 'first strike' scenario. This greatly enhances Russia's land-based nuclear arsenal's deterrence factor. Just the threat of a second-strike ability, not just from Russia's SSBN submarine force that America works very hard to track, but could be delivered from road-mobile ICBMs, which is very capable at that business, this special trick makes a final component that we called Mutually Assured Destruction (MAD) as a continuing reality. The TOPOL is now out of production, and in its place is an improved missile that carries 'at least' four MIRVs. This new system is known as the RS-24 'Yars' and features an even higher speed than the TOPOL-M, and has a smaller CEP of only about 150 feet. More advanced decoys and countermeasures are also said to be fielded with this new missile, as well as enhanced mid-course and terminal phase maneuvering, all of which were developed specifically to counter anti-ballistic missile defense systems that have become operational in the US and that will soon be operational in Europe. Russia is also working on deploying the RS-24 on trains as well as road-mobile TELs, something it stopped doing under the START II treaty by the end of the last decade. The new START III treaty, signed in 2011, does not limit train-based ICBMs, thus Russia is quickly developing such a system. At least two TOPOLs,denotation in U.S is enough to bring the entire a continental nations to a complete destruction.